Samsung J7 Pro SM-J730F After Update Oreo V8.1.0 Touch Not Working Fix. Samsung J7 Pro SM-J730F Required File. 2# Download Samsung j7 Pro Touch Fix File. 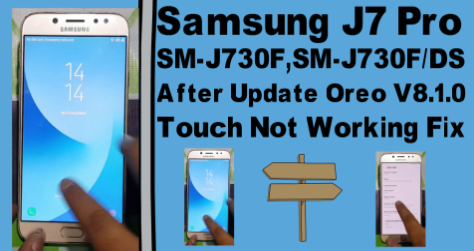 Samsung J7 Pro SM-J730F Touch Fix Method. 1# Download Odin And File. 2# Install odin and open it. 4# Click Tab on odin ap and select download file. 5# Connect your phone on pc(download mode). 8# Flashing complite remove data cable. 9# Some phone going samsung logo dont worrry. 10# Go to recovery and wipe date/factort reset. 11# Now rebot your phone. 12# Now your open take some time. 13# Now your alive and click next more time. 14# Your touch not working sloved.